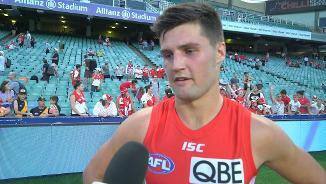 Debutant Nic Newman lets us in on a few secrets in the latest of our Pocket Profile series. Defender Nic Newman understands the challenge he faces in trying to gain a spot in the Round 1 team to take on Port Adelaide. 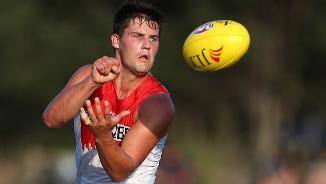 The Swans have had some great success with their rookie-listed players in 2016, with three already upgraded this season and two making their senior debuts. 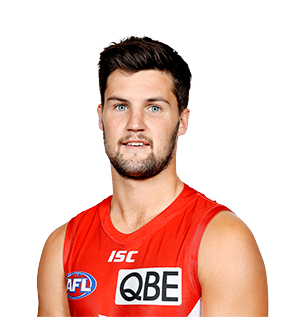 The 25-year-old will be looking to remain an AFL regular in 2018 after debuting in Round 2 last season and banking 20 games. Newman offers the Swans a unique touch with his ability to float between half-back and the wing and the fact he has a quality left-foot kick. Draft history: 2015 Rookie Draft selection (Sydney) No. 35; 2016 AFL Draft rookie elevation (Sydney).